There was always destined to be controversy and negative fan backlash from Metal Gear Survive. 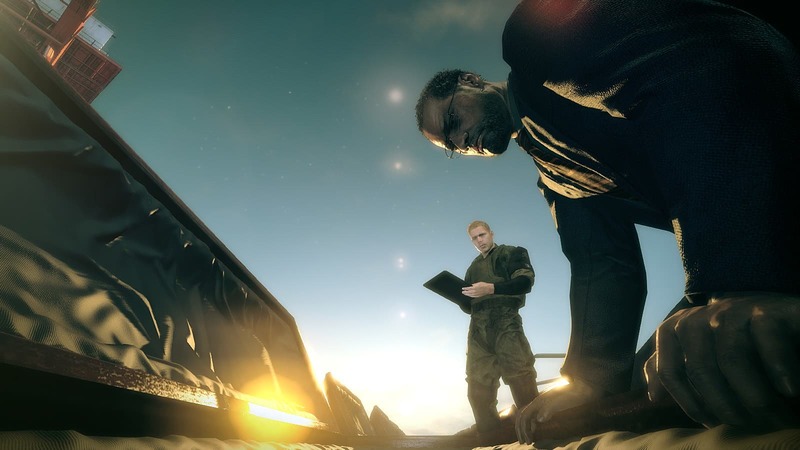 Even if it hadn't drastically changed styles from previous games, the very public, very ugly split between Hideo Kojima and Konami meant there was already a built-in base of haters ready and waiting to drag this game down. We saw that unfold before the game even launched, with massive review bombing at Metacritic by people who never played the game, complaining about the bad mechanics on PC ... two days before it actually unlocked on Steam. Those people weren't reviewers with advanced copies either, because the advanced copies didn't unlock until the same time as the first-day buyers. 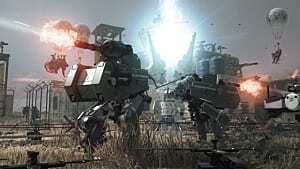 Having now finally been able to get on the PC version, I can say with authority that it turns out those overly eager Kojima fans were more right than they knew, just for all the wrong reasons. The opening cut-scene of being utterly destroyed and sucked through a wormhole into an alternate dimension is a very apt metaphor for this game's place in the franchise. 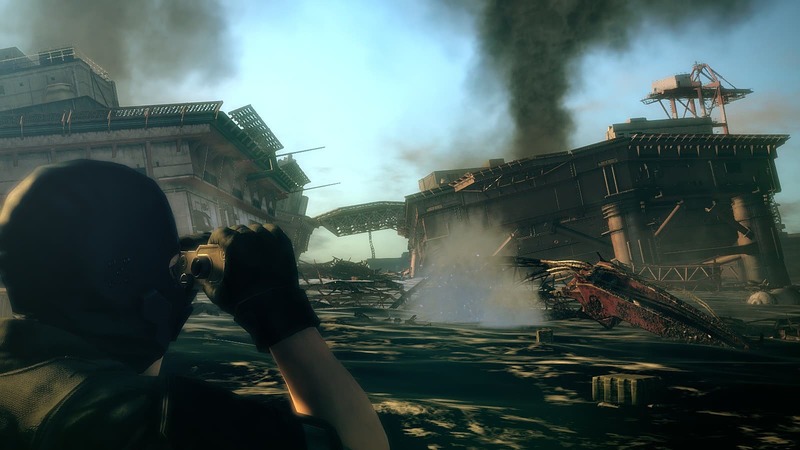 Konami seemed to go out the way to shoot itself in the foot as frequently and as horribly as possible during every stage of this game's conception and execution. A word like "botched" doesn't even begin to describe the release, which was alternatively listed as happening on February 20th, the 21st, or the 22nd, with no consistency on that front. When it unlocked for consoles, no one could play for more than 12 hours, as a glitch requiring an update prevented anyone from logging on. 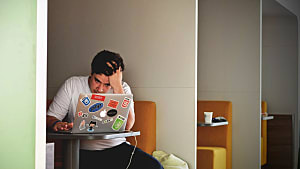 Things went even worse on the PC front, with no pre-load available. 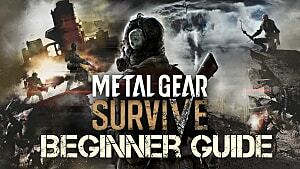 When the projected unlock time finally arrived, suddenly the Metal Gear Survive page was yanked entirely from Steam, causing an uproar and extreme backlash from Windows players who were already out of patience. Later that night, a Tweet went out explaining the game would be available after a fix, with no projected time or date. It wasn't until this morning -- 3 days after releasing on console -- that PC players actually got to play. When the game starts with you as a battered, dead soldier being forcibly raised from the dead and sent out into the wilderness unarmed and alone to get decimated by angry hordes, I started to feel like this is a social experiment gone wrong and that we're all being punked. "He's dead, Jim." "Too bad, raise him from the dead anyway." Whatever word is ten orders of magnitude higher than "clunky" is the one you'd want to use to describe the controls and menu screens for Metal Gear Survive. There are times I feel like I'm playing Octodad or Goat Simulator -- two games that have completely wonky controls on purpose -- instead of a AAA polished title. First up, you can't use the mouse during setup screens, the main menu, crafting bench menus, or in your inventory and can only navigate with the keyboard. At first it was unclear if this was a bug or if the developers just didn't bother to change the controls from console so that PC players can actually use the mouse. The answer to that question was cleared up by going to the "Controls" screen to see that the keyboard mapping literally brings up an image of an Xbox One controller, with no keyboard controls available. The level of laziness and disregard for the PC fan base there is frankly infuriating. How did THIS get past quality control?!? 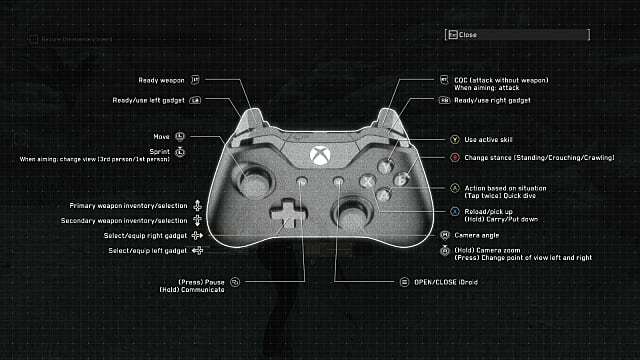 Apart from the keyboard nonsense, the game as a whole just has really odd controls. You've got to hold the right mouse button and then click the left to use any weapon, even if using a melee weapon like a spear and not something that has to be aimed like a gun. Your avatar also slides when you stop running, so between that and having to stop, hold down right-click, then aim with the mouse and hit left-click to attack, hunting or attacking is extremely frustrating and imprecise. Making matters worse, the game glitched out and wouldn't let me select the spear on my back during the early portions of the game for no apparent reason. This meant I had to run around trying to beat sheep to death with my fists so that I didn't starve ... which obviously didn't work. Time to start over from the beginning and watch all those cut-scenes again to fix the problem. 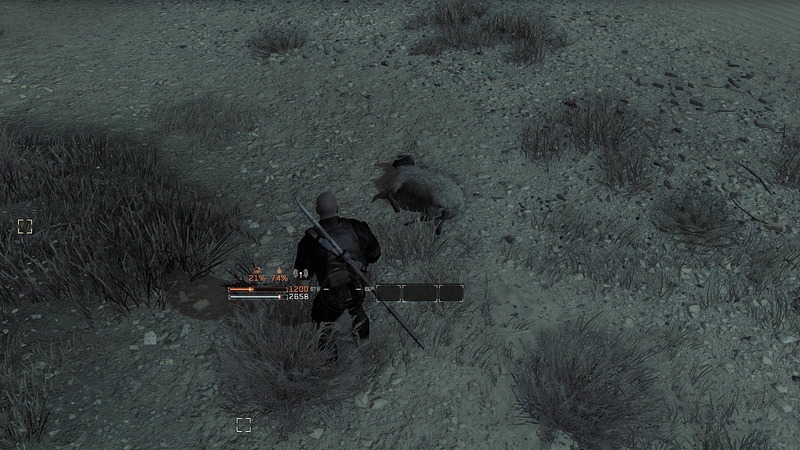 Say hello to my arch nemesis -- the invincible sheep! When we get past the launch disaster and figure out the awful controls, it's time to actually dive into the game, right? Wrong! 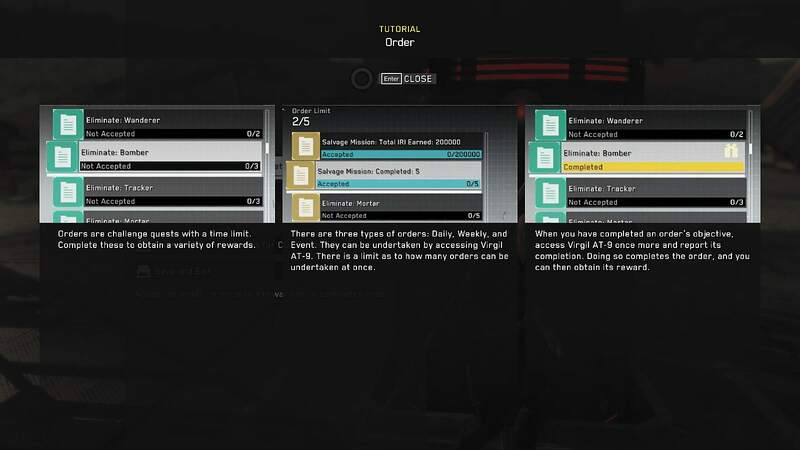 There's an absurdly long slog through cut-scenes before you actually get to play, and then an even longer slog through tutorial missions before getting into the majority of the game itself. 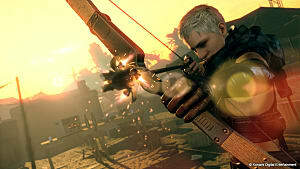 We're talking 2+ hours of cut-scenes and tutorials before you are seriously playing the game for real. This creates an incredibly choppy, un-fun experience, as the game puts its worst foot forward and makes a very bad first impression. 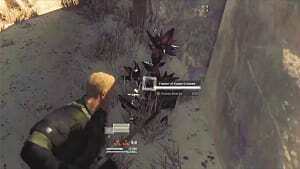 When you finally get to actually play Metal Gear Survive, what you get is essentially Fortnite meets Ark with technological zombies. The resource gathering, weapon crafting, defense, and base-building segments are very much in the vein of Fortnite's Save The World mode. 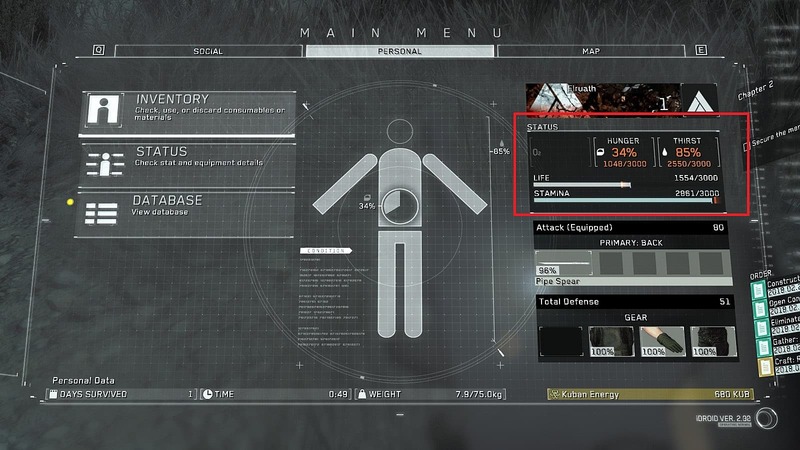 The survival elements like hunger and thirst go more towards Ark, but here these constantly dropping meters are significantly more punishing, to the point that I expect more than a few players to give up within the first few missions. 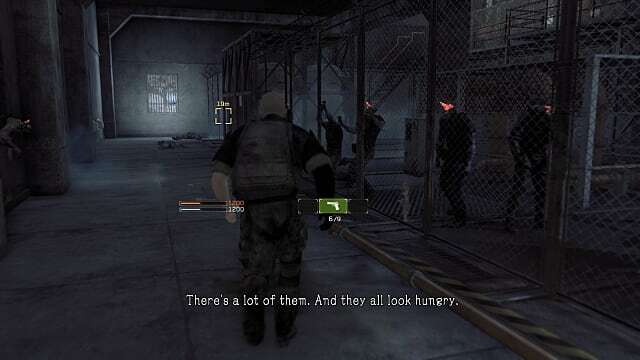 Hunger and thirst meters even drop while you are in your iDroid menu or crafting objects, so you can literally be on death's door just by spending a few minutes crafting fences or making new weapons. 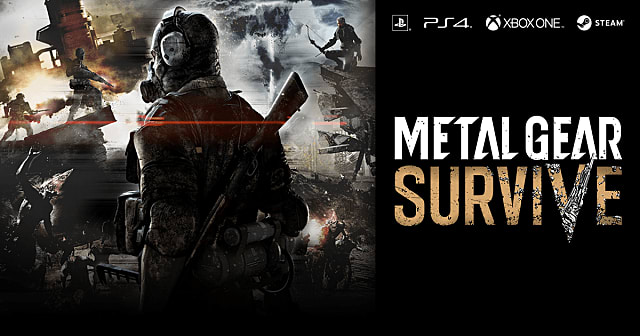 Although the gameplay is similar, Metal Gear Survive is much more story-focused than either Ark or Fortnite, so it does offer something different on that front. A mysterious organization sends a nearly dead soldier through a wormhole to deal with an infection that destroyed an alternate Earth in another dimension in order to prevent the same thing from happening on their world. Of course, there's more going on than you realize at first. 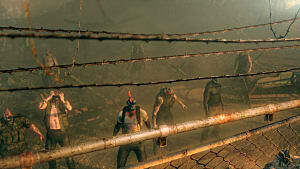 The mashup of biological and technological infection results in some really interesting zombie enemies, and there's a fun Dead Rising-type scene at the beginning depicting being chased by a gigantic horde of zombies. 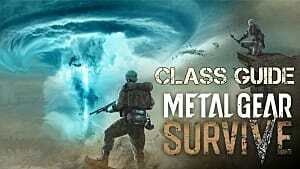 A few other similarities to that franchise pop up from time to time, like rescuing survivors and bringing them back to base camp, or the way the disembodied voice over the radio sends you out on missions. Where's Chuck Greene or Frank West when you need them? 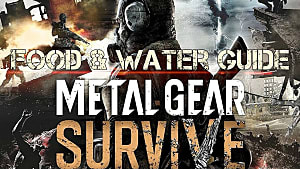 So here's the deal: this is just Metal Gear art assets (and some of the franchise standard stylings like the radio communication scenes) but in a survival/tower defense game that's all scavenging, building defenses, and fighting off a wave of enemies. Essentially, this is Metal Gear Fortnite: Rise Of The Ark. It's a serious shame that so much went wrong here, because this is a game with loads of potential that I wanted to like. 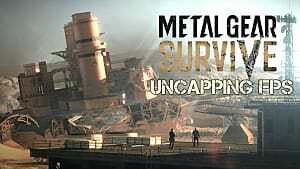 Metal Gear meets Fortnite meets Dead Rising is exactly the kind of game I want to play, and if you can make it past the first few hours to get into the real game loop, it is a somewhat satisfying experience. Sadly, I don't expect many to get that far or to actually keep playing over the long haul on the multiplayer front. From a horribly botched launch to clunky UI and a hunger/thirst meter that actively tries to kill you, there's so much this game does wrong that it's hard to focus on what Metal Gear Survive does right.